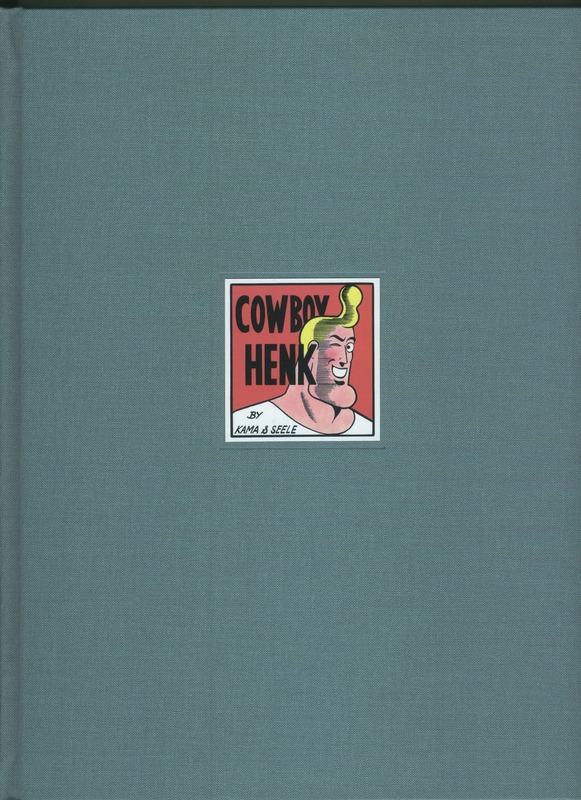 COWBOY HENK: Grab a bargain! 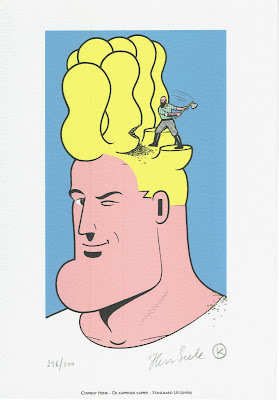 Only 6 5 available in our SHOP ! 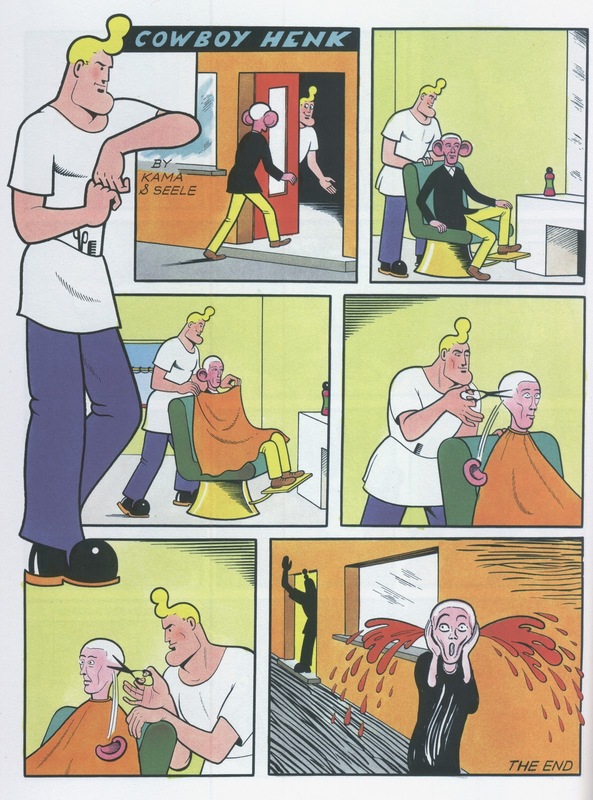 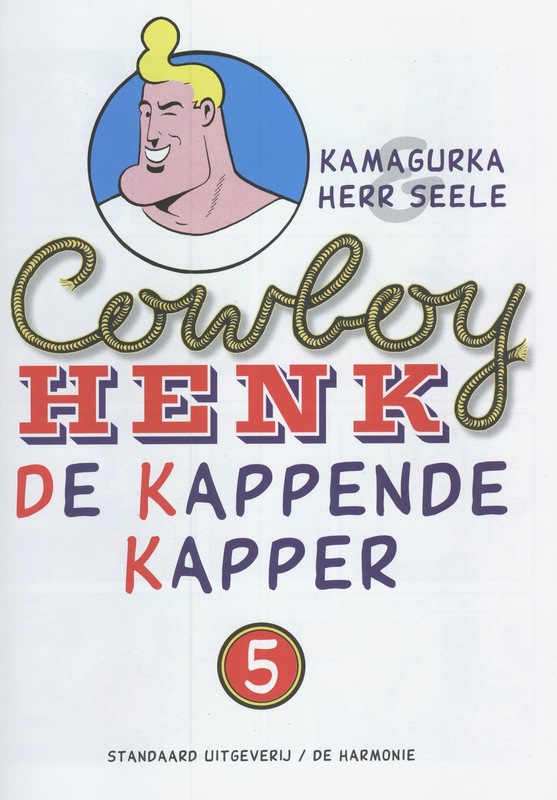 Cowboy Henk album 'De kappende Kapper' in a luxurious edition! 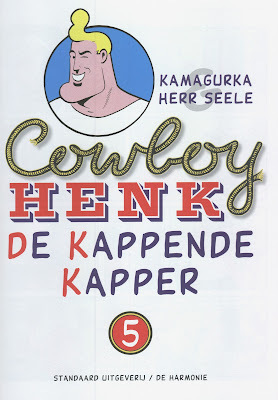 Printed in 1998 by de Standaard Uitgeverij and De Harmonie in a limited edition of only 300. The cover is a blue/grey linen bound hardback. 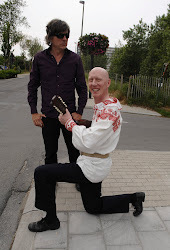 Each album contains a numbered screen print, signed by Kamagurka and Herr Seele.